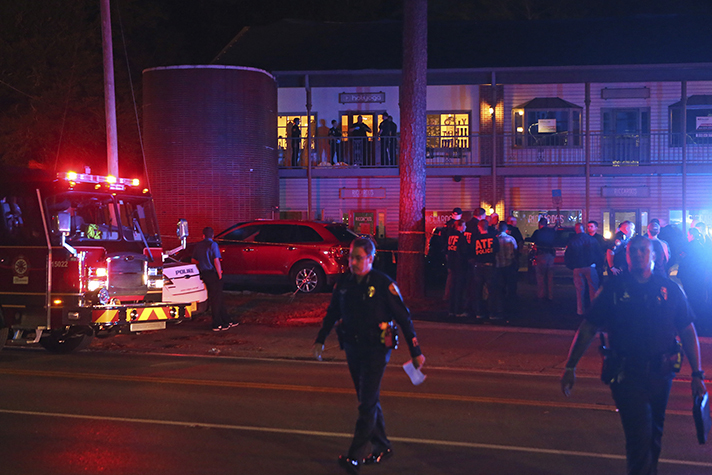 A Friday night shooting at a yoga studio in Florida’s capital left three people dead, including the gunman, and injured several others. Reports say the shooter died of a self-inflicted gunshot wound. The Billy Graham Rapid Response Team (RRT) deployed local chaplains to Tallahassee in the wake of another tragedy. Kelly Burke, chaplain coordinator for the RRT, was invited by the Tallahassee Police Department to offer the chaplains’ support. Burke, who served as a Tallahassee police officer for 25 years, still lives in the city. He was part of a debriefing Saturday evening with officers who worked the previous night and responded to the shooting. He knows firsthand how difficult a crime scene like that can be to process. The location of this particular incident also took people by surprise, Burke said, referring to the trendy midtown area. He’s joined by two other Tallahassee chaplains—both active police officers—who have made themselves available to comfort those impacted by this shooting. The shooting came just a week after chaplains deployed to Pittsburgh after a gunman killed 11 people at a synagogue and injured six others in one of the deadliest attacks on Jews in U.S. history. That followed a string of deployments across the Southeast, including Florida, after Hurricanes Florence and Michael wreaked havoc on multiple states that will be recovering for months to come. In between the hurricanes, chaplains also ministered in Florence, South Carolina, after seven police officers were shot and two later died. Burke and his wife drove by the crime scene in Tallahassee Saturday to lay flowers and pray at a memorial that’s formed nearby. He noticed some surrounding businesses closed out of respect. Please pray for all affected by the Tallahassee shooting and communities across the U.S. still coping with the loss of life in recent natural and man-made disasters. Support the Rapid Response Team.